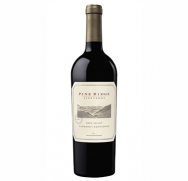 Pine Ridge founder Gary Andrus, inspired by the illustrious wines of Bordeaux, believed in the Napa Valley’s potential to produce wines of similar stature. He planted the property’s original namesake vineyard on a steeply terraced hillside flanked by a dramatic ridgeline of pine trees in the Stags Leap District. Gary’s pioneering efforts with this first vineyard were met with tremendous success as the Bordeaux varietals he planted – Cabernet Sauvignon, Cabernet Franc, Malbec, Petit Verdot – thrived and produced wines of great distinction. 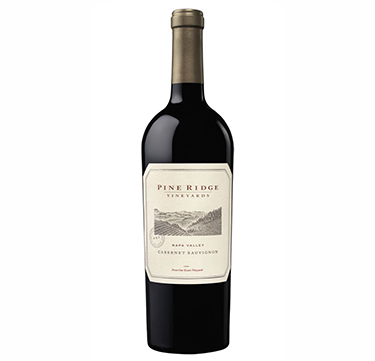 In the following years, Pine Ridge continued to acquire exceptional vineyard sites across the region. Today, the Estate’s 200-acres span over five renowned Napa Valley appellations – Stags Leap District, Rutherford, Oakville, Carneros and Howell Mountain.